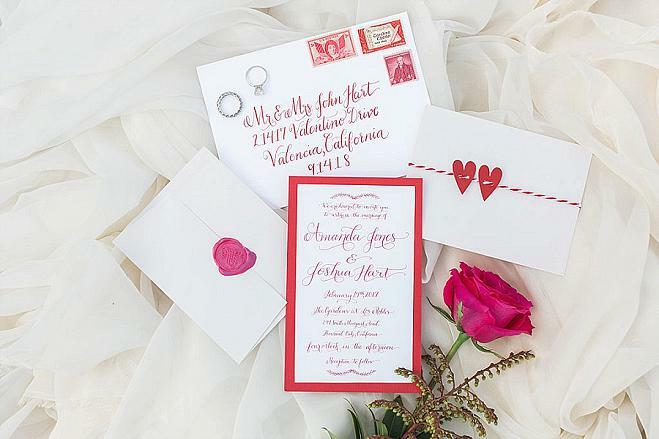 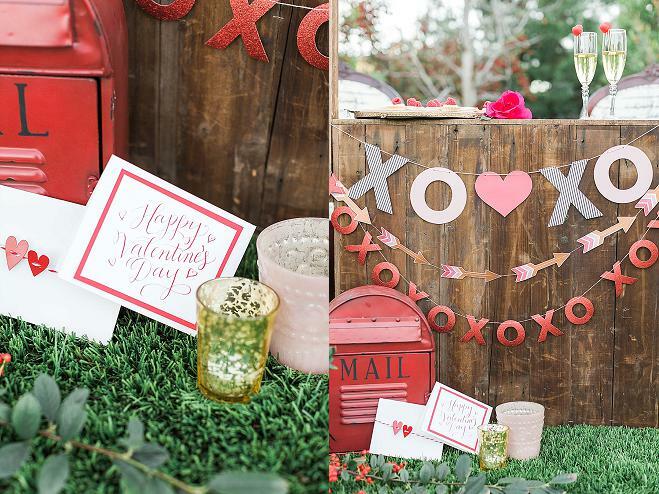 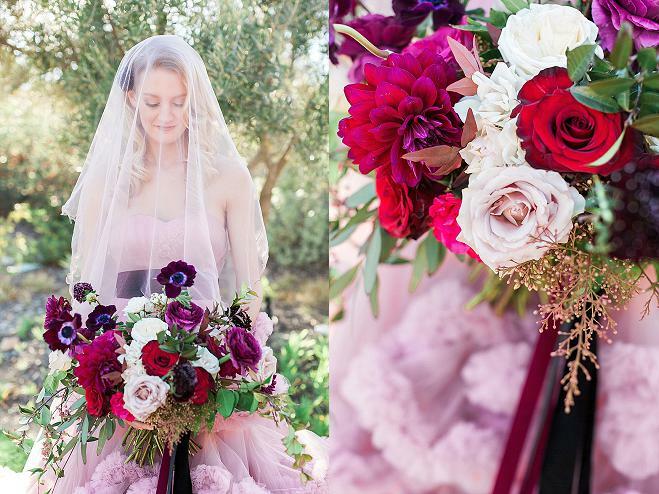 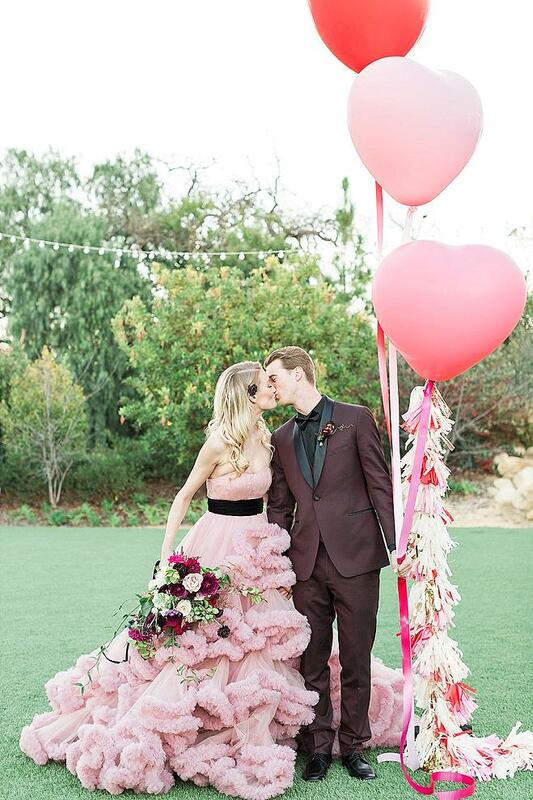 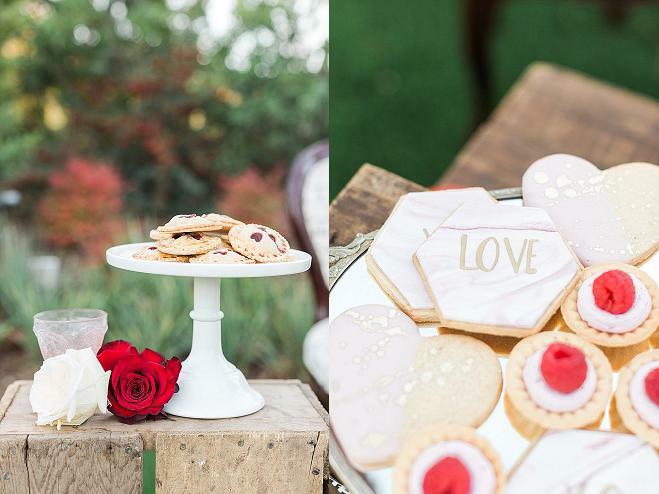 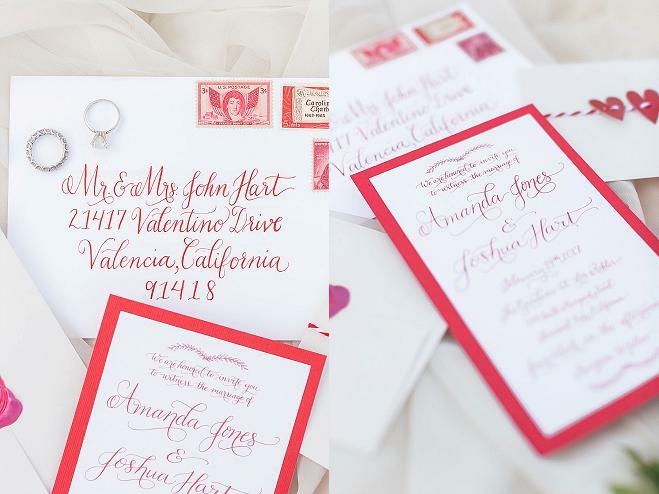 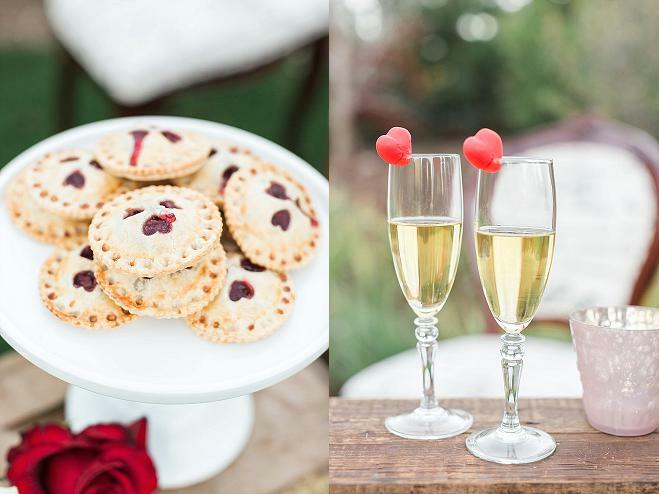 Love, at first sight, is the only way to describe our feelings when we laid eyes on this Valentine's Day-inspired shoot captured by Jenny Quicksall Photography. 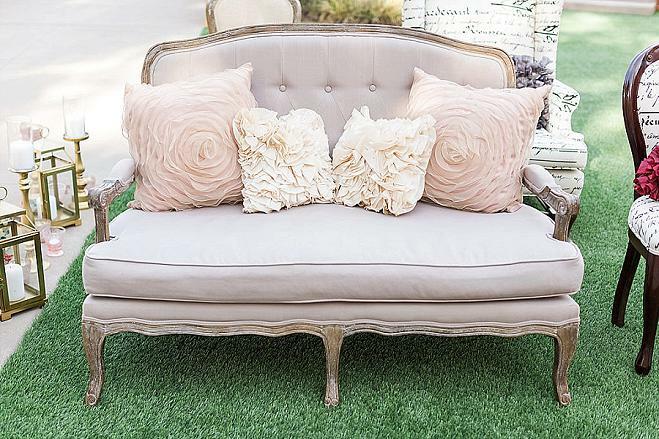 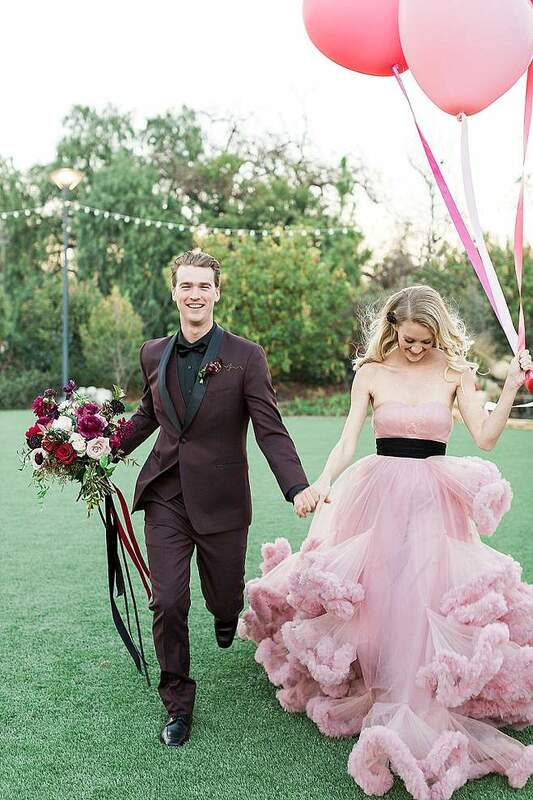 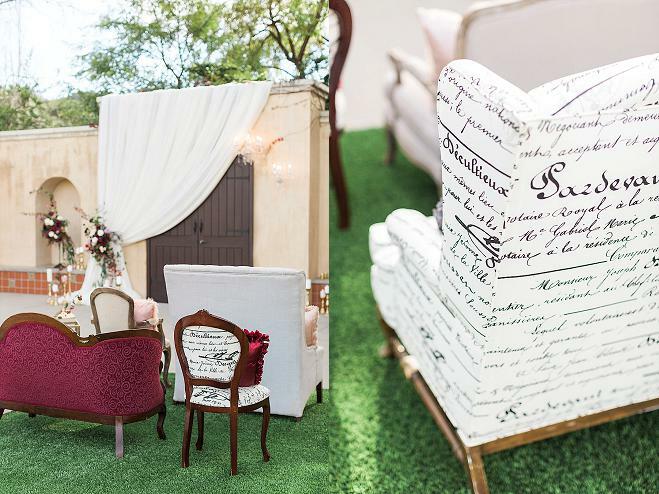 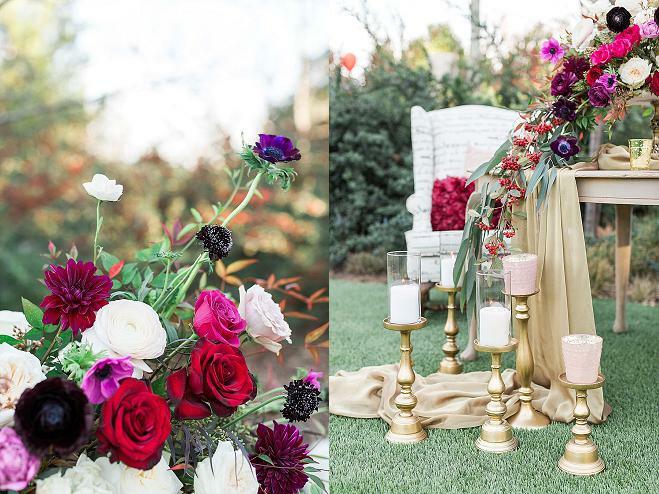 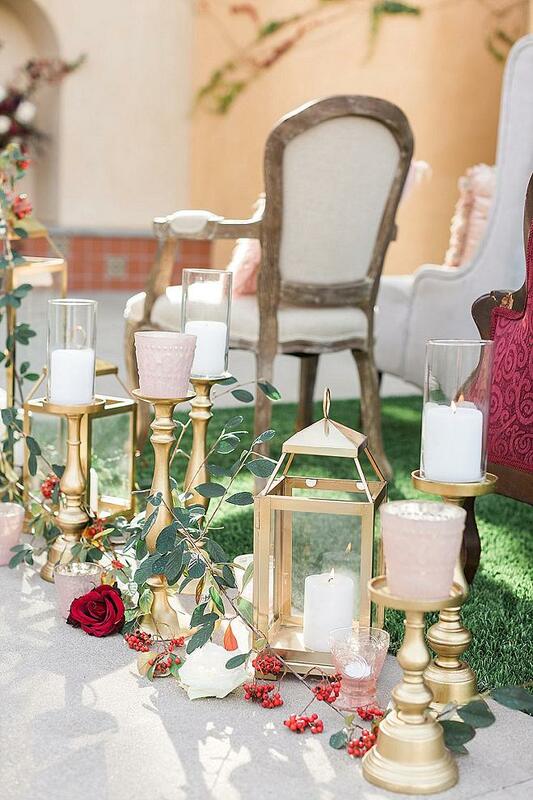 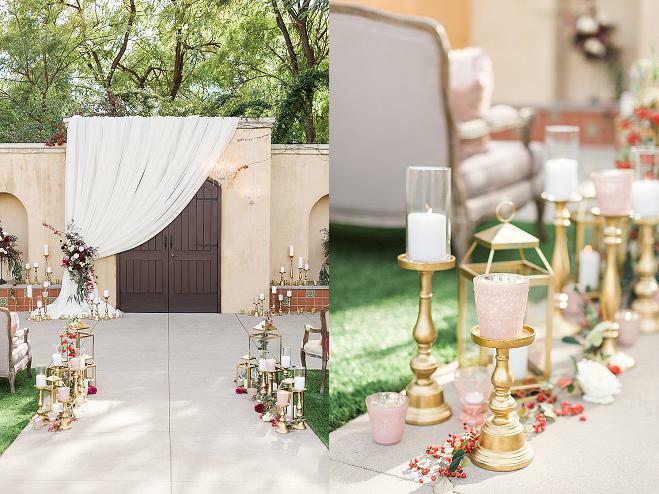 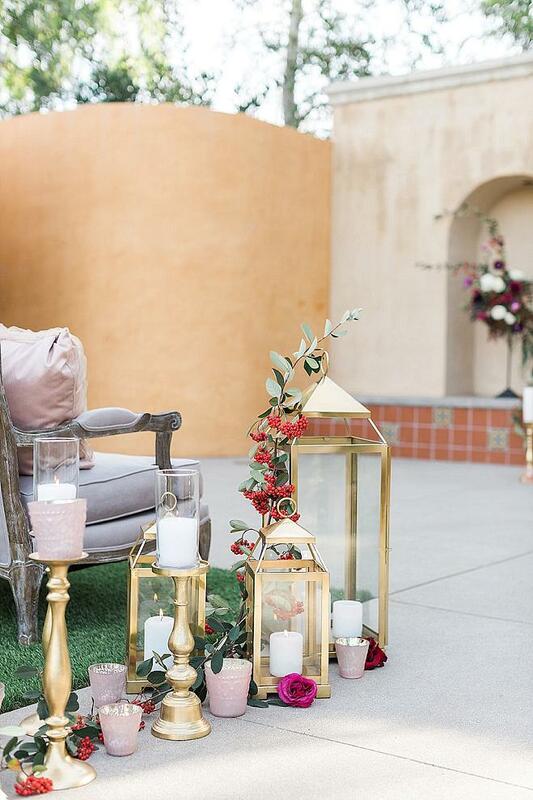 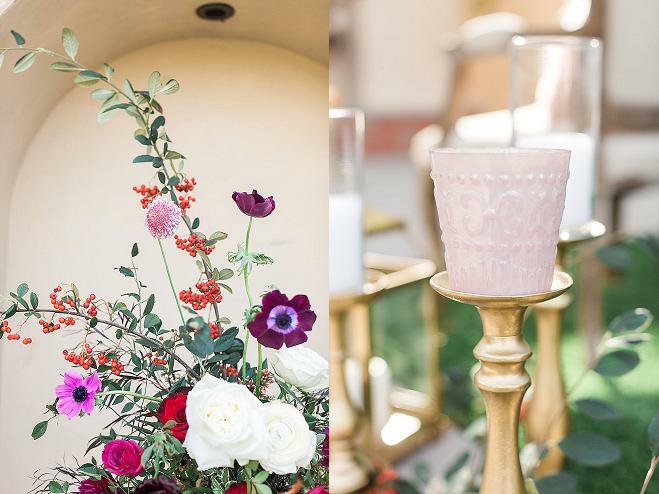 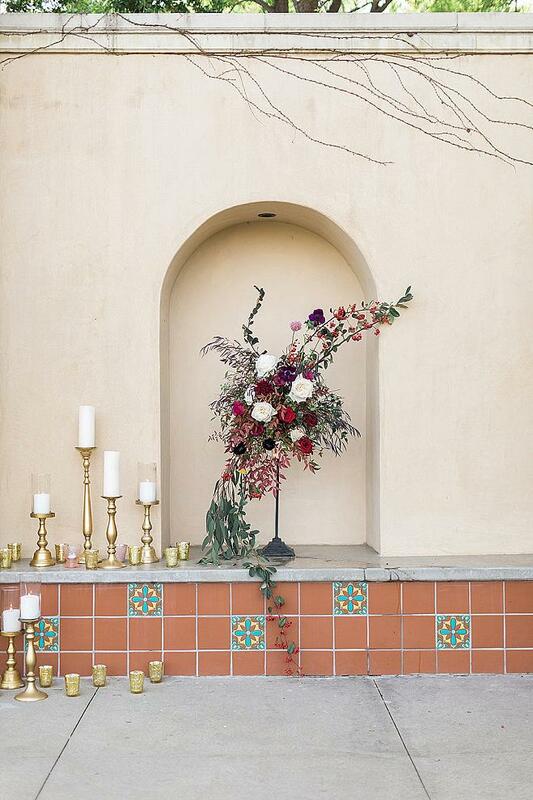 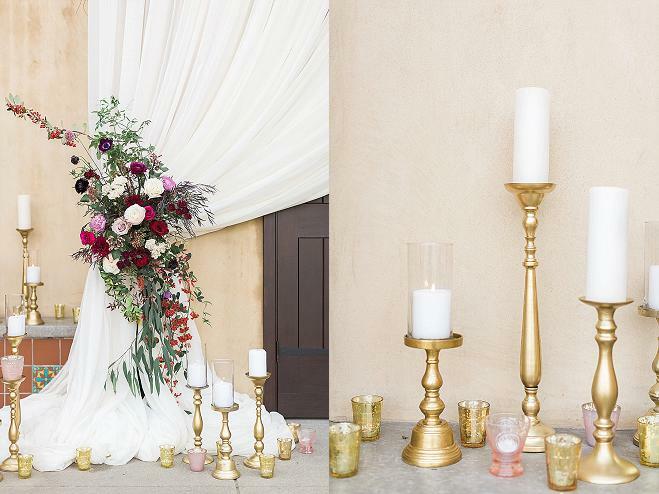 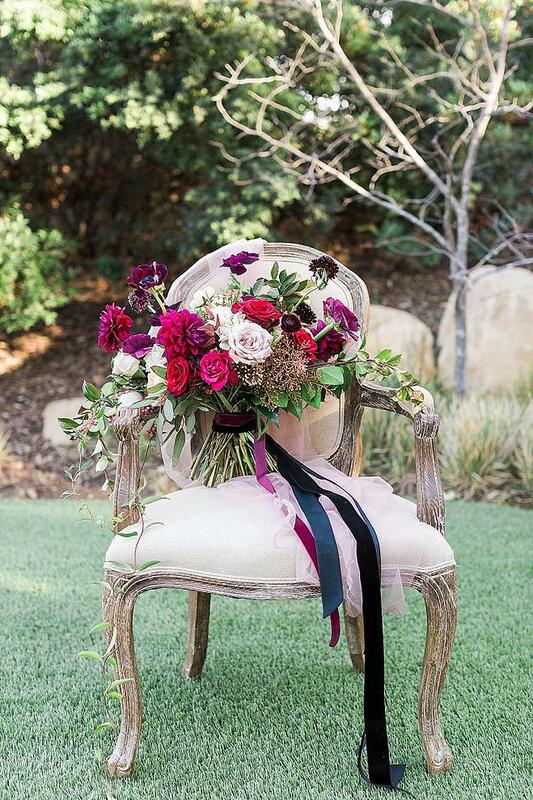 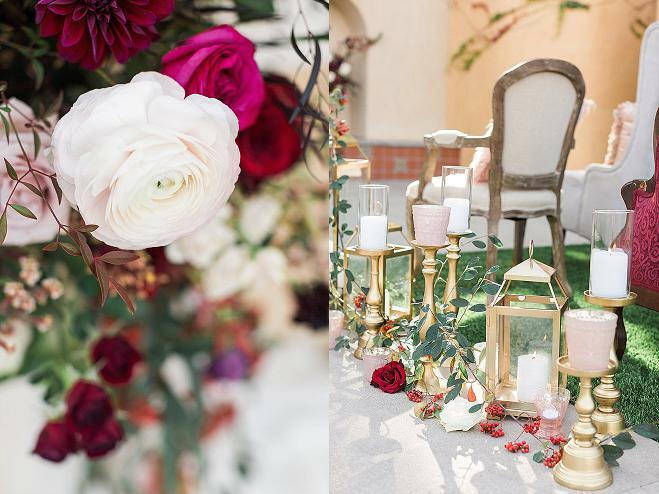 Set at The Gardens at Los Robles Green, Velvet Alley Events and Belle of the Ball Designs created a rich palette of crimson blended with a decadent touch of gold and blush. 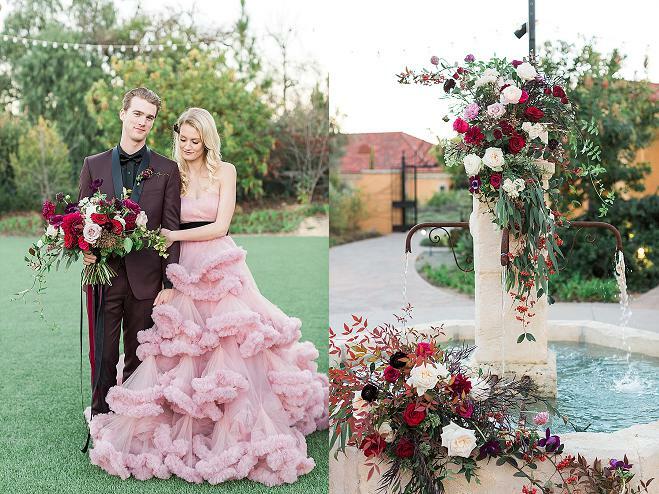 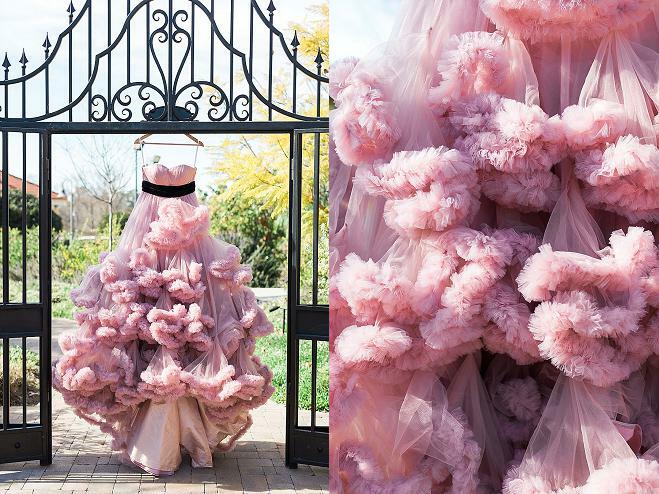 Sure to get every bride's heart racing is the voluminous blush bridal gown from LZ Bridal cinched with a black sash accented by a dreamy bouquet of red, creamy whites and blush florals. 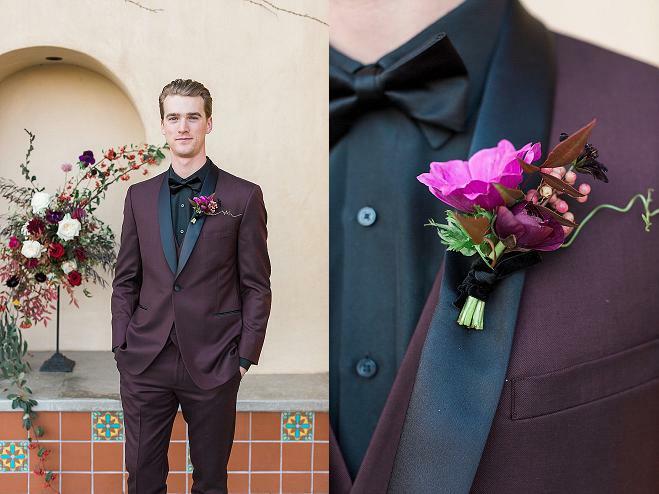 The groom's chic crimson and black shawl tux from Friar Tux Shop flawlessly completes the couple's look. 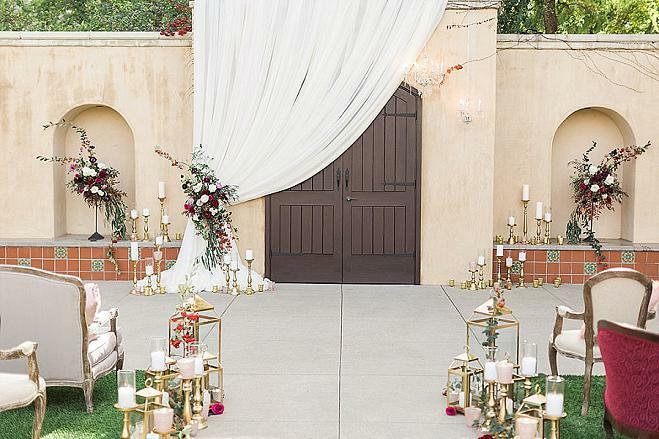 The ceremony setting features a candlelight aisle flanked by a mix of seating options from cozy settees to ornate wing chairs all decorated with sumptuous throw pillows. 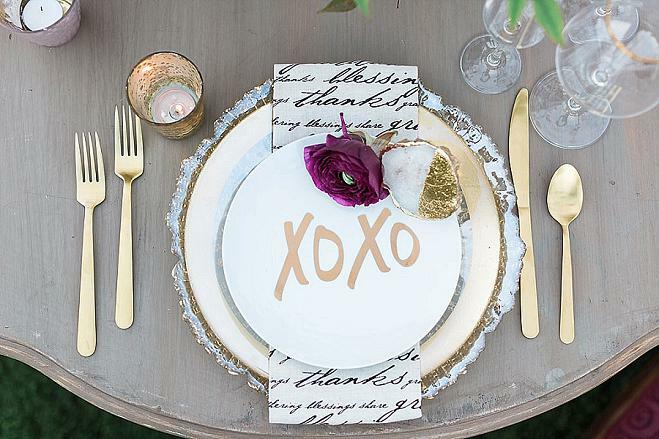 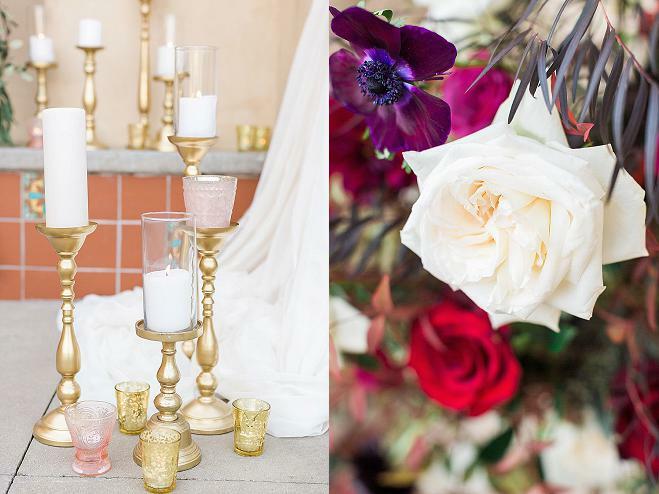 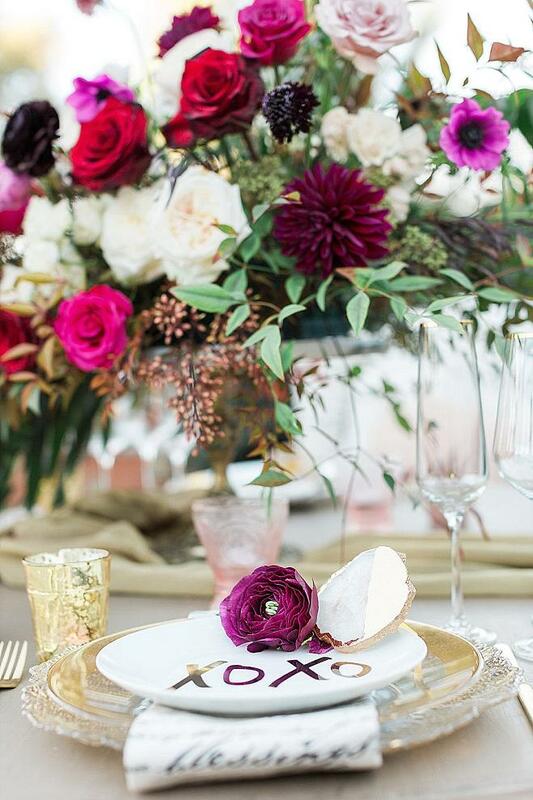 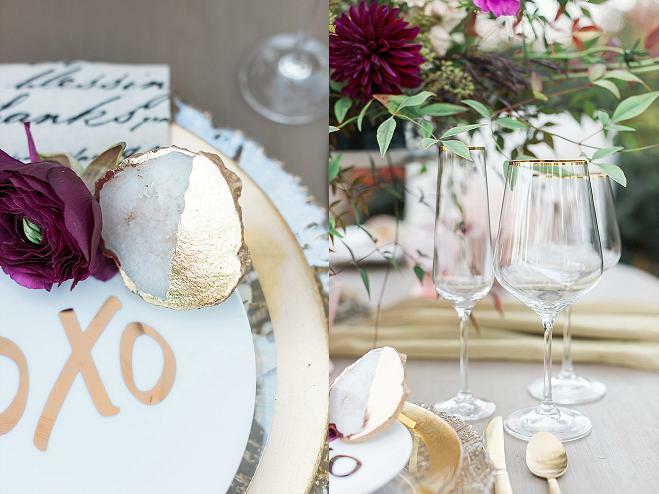 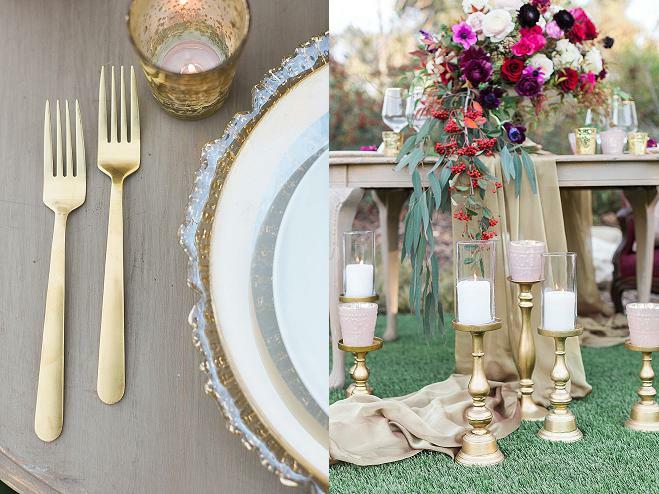 The sweetheart table features gold placesettings, gold-leafed quartz details and an abundant floral centerpiece. 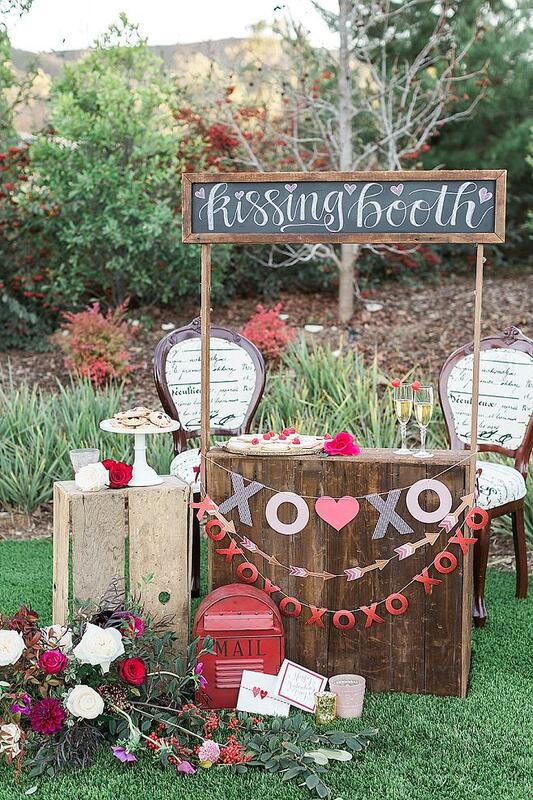 But the piece de resistance is the photo booth. 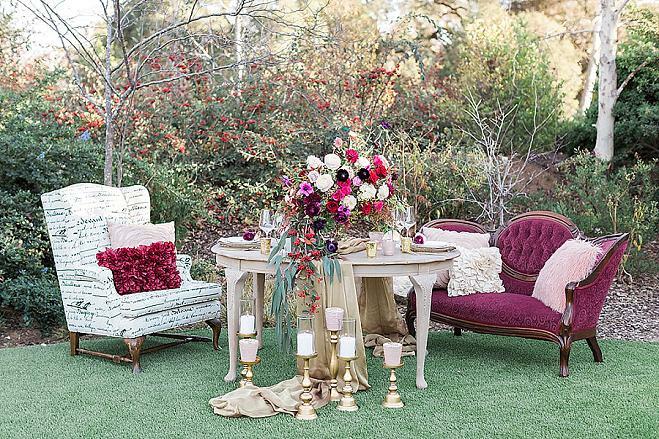 Effortlessly pulling double-duty as the backdrop for picture perfect kisses, the beautiful setting also serves as a focal point for the dessert spread by Frost It Cakery. 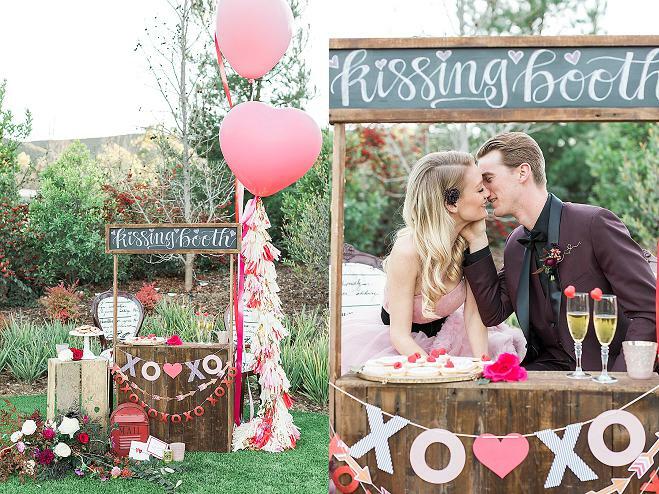 Beautiful flowers, candles, heart-shaped balloons and a gorgeous couple...looks like we got our Valentine wish with this styled shoot.